"Much of Tobi Wong's work plays between concept and beauty, exposing the similarities between art and design rather than blurring their boundaries. Unlike purely conceptual work - which often lacks a real appreciation for beauty, aesthetics, and a desire for consumption - his work often finds expression in real objects. He's coined the term Paraconceptual to describe it: "Of, relating to, or being conceptual." This wireless switch can control any light fixture you choose, and you can set it anywhere in your house. Simply attach the remote component to your light fixture, open the On/Off box and flip the switch – that light on the other end of the room instantly turns on or off! 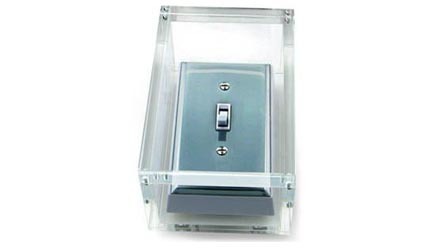 The switch works up to 100 feet away and comes encased in an elegant lucite box with a magnetic lid. US$119 Available now at gnr8. 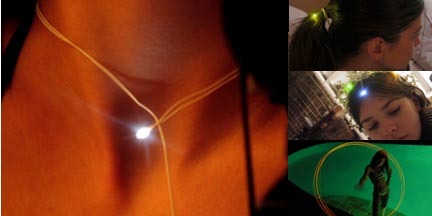 Moi is a wearable light accessory. A super bright LED connected by optic fiber to a 3V coin battery. But turn it on, and Moi becomes a piece of magic - a sparkle around your wrist, your neck, your ankle...your hair...Treat it right, and it'll last forever. Overuse it, and you can find another 3V battery anywhere. $27 Available now at GNR8. Best known to gnr8 as the designer who created the laserpod (and who, contrary to popular mythology, has had nothing to do with designing the lava lamp), Chris Levine is also a gifted artist doing some amazing things with light. Definitely check out some of his latest work. 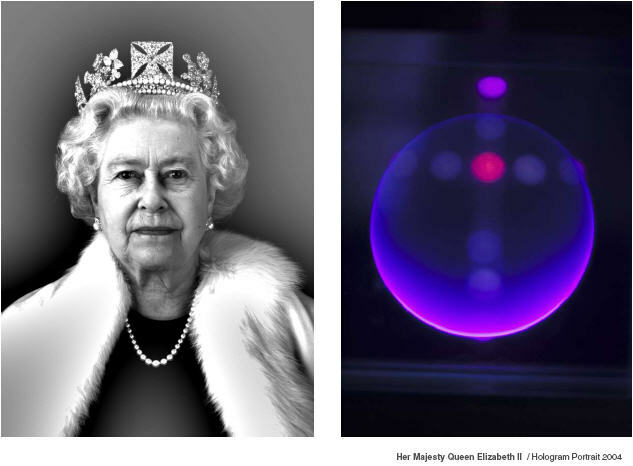 For our money, anyone whose 2004 portfolio includes the first ever holographic portrait of Queen Elizabeth, AND the light show for massive attack must be doing something right.